A group of around 20 upper caste men from Darbar community (Kshatriyas) beaten old dalit woman aged 45 and her son of around 21 years old who were skinning dead cow in Kasor village of Anand district. Accused beaten them with sticks and abused them verbally. 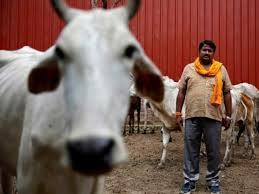 It is to be noted that around 25 families earn their livelihood by skinning dead cattle. The old lady accused the community of threat to stop skinning work because it raised stink in the locality. Later, the accused attacked her and her son.